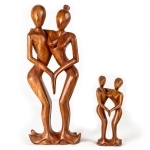 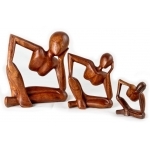 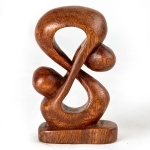 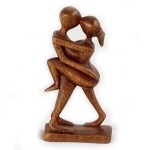 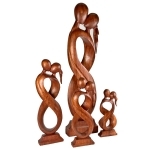 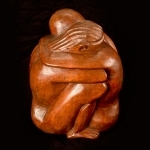 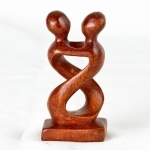 Our abstract figures represent the essence of what they portray. 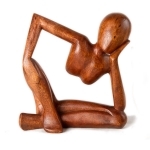 Be it love, family, relationship or simply a lovely figure, whatever you see will be personal, introducing indirectly into your thoughts a memory or event or a suggestion of a visionary notion in your mind. 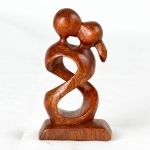 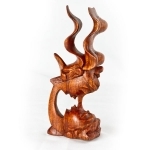 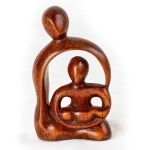 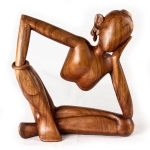 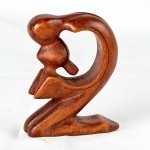 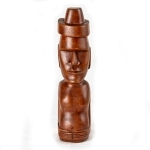 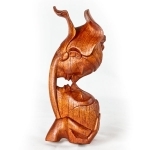 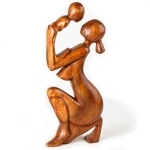 Not trying to over complicate matters, they are also simply lovely pieces of art, all hand carved (not mass produced) from Suar wood, and make great gifts for all your family and friends. 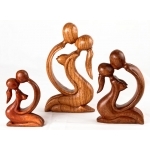 Displayed in the right setting they can add a touch of class to any room or live on a shelf as a beautiful, friendly and well loved ornament.